Fitness Professionals… Ready to Earn Extra Money With One of The Hottest Trends of the Year! FitPros, Leisure Centres, Gyms etc… Ready to ramp up your classes and business with one of the “Hottest Trends” of the year and a brand new certificated course from Fox Fitness — that will help you crush it this year! If you’re excited about the HiiT craze and want to get in on the trend, then let us show you how you can learn the fat-burning, calorie busting and high-energy fitness techniques all in one step-by-step certificated course. Don’t Just Workout… CRUSH HIIT! And not only will your clients get in the shape of their life, but YOU will too! Every part of your body becomes leaner, stronger, fitter and you radiate glowing health. Believe Hiit… people will NOTICE you (and your clients) and want to know your (their) secret. Everything we teach we’ve tested to make sure it includes all the latest HiiT techniques, that get quick results all in one high-powered and safe workout. It’s the only certificated training course that can say that, the only one that teaches YOU how to run safe, effective and fun CRUSH HiiT sessions. Motivation and retention is at the heart of any successful class formula and CRUSH HiiT delivers on all levels. To be sent more information about our innovative and insane new certificated High Intensity Interval Training Instructor Course, please complete your details below. There is no doubt about it, one of the “Hottest Trends” in fitness right now is High Intensity Interval Training (HiiT). Because it burns calories, tightens and firms up all areas, is ridiculously quick in producing fantastic results and shrinking fat right out the body. One of the main benefits is great results in less time than most traditional workouts. Our brand new certificated CRUSH HiiT course — will help you offer the ultimate Hiit workout to your clients/members and crush it in your career this year! Reports suggest that Hiit can burn fat for up to 48 hours after a workout. 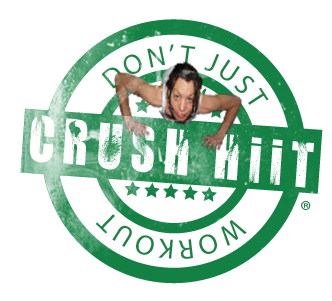 CRUSH HiiT is an easy workout to roll out and is very safe, adaptable and progressive. CRUSH HiiT workout uses body-weight and focuses on increasing heart rate and maintaining it for a short period of time. When your participants see and experience the results of CRUSH HiiT they will be hooked. This will lead to higher retention and growth for your business. Not to mention create a real buzz for you. 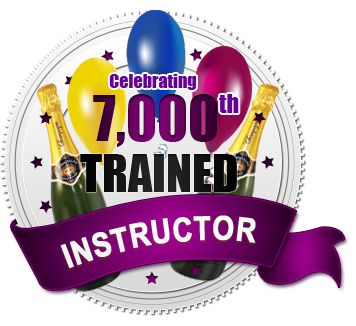 The training takes place on our inspiring online course via our secure members area. Right now you’ll discover how Fox Fitness’s amazing new CRUSH HiiT course can help you boost your business, inspire your members and motivate your people to achieve their fitness and weight loss goals. We are the only training provider that offers you the best selection of HiiT Moves, Cool Vibes and Heart-Pumping, Fat-Busting combo’s that will breathe life into your sessions. The other really amazing thing is this; we have been testing CRUSH HiiT out on ourselves and staff and that means we know it works! Practical and Written. 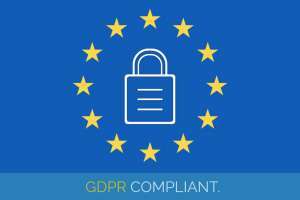 This is fully explained in the course materials and covers everything you need to be able to submit your assessments to us. So what you have to do now… is get EXCITED! Because your career and fitness business is about to change. All this for only £175 Special Limited Offer* £99* for limited time only. YES! Please enrol me on the step-by-step online course of becoming a “CRUSH HiiT— “Version.1” right now, so I can learn how to start, run and grow my very own CRUSH HiiT classes! Once you press the order button you will be taken to the Fox Fitness PayPal shop. All payments are processed securely through PayPal we accept all major credit and debit cards. If you’ve read this far, you’ll see how CRUSH HiiT from Fox Fitness will benefit you. When you’re ready to boost your career and have some fun, simply click one of the links above to join us. It’s that simple. Get the instruction and inspiration to CRUSH HiiT this year! Now it’s time to discover what High Intensity Interval Training (HiiT) is all about and start busting some cool moves yourself. You and your class will LOVE Hiit! ® CRUSH HiiT is a trademark of Fox Fitness Training. © Copyright text/images Fox Fitness 2014 -current. All rights reserved.